Yay it’s Friday! We made it to the weekend-what are your plans for this Easter Weekend?! 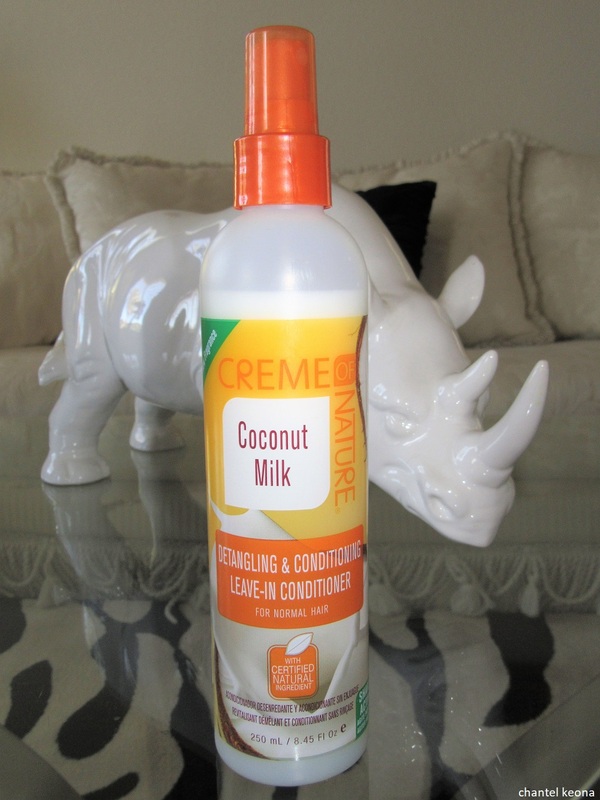 I’m back with another beauty review, this time I’m sharing my favorite hair care products from Crème Of Nature. 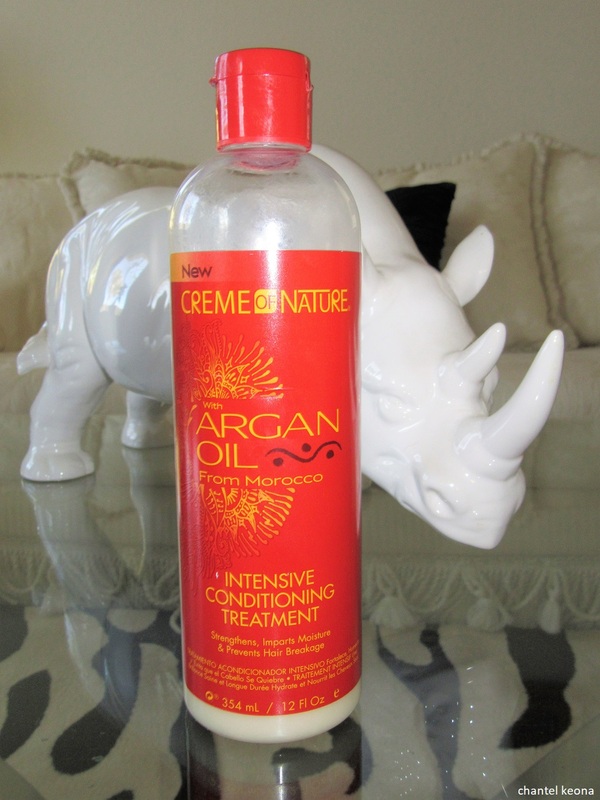 I have been using this brand for such a long time, my mom introduced me to this brand when I was much younger and I’ve been using it ever since-I absolutely love this Argan Oil line it does wonders for my hair. If you are interested in learning more about these products then keep on reading for all the deets. Description: Perfect Edges hair gel is infused with Argan Oil controls and holds down edges while moisturizing and adding exotic shine to the hair. Perfect for creating sleek, smooth styles, ponytails and sculpting and styling the hair. Perfect for maintaining sleek, smooth styles, ponytails, sculpting and styling the hair on the go. Nutrient rich formula makes hair stronger. Description: Intensive conditioning treatment is an intensively deep conditioning treatment that strengthens and helps prevent damage. Ideal for all hair types, this treatment can be used after every shampoo as a quick conditioner or every week as a reconstructor. Deeply infuses moisture with exotic shine. 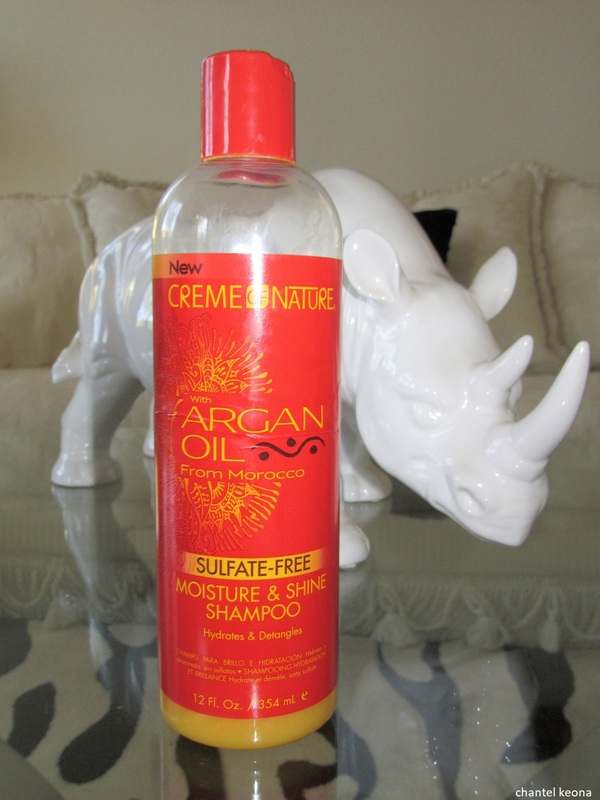 Strengthens and prevents hair breakage. Leaves hair soft, silky and full of body. Description: This sulfate free formula hydrates hair and adds exotic shine, while gently cleansing without harsh moisture stripping agents. 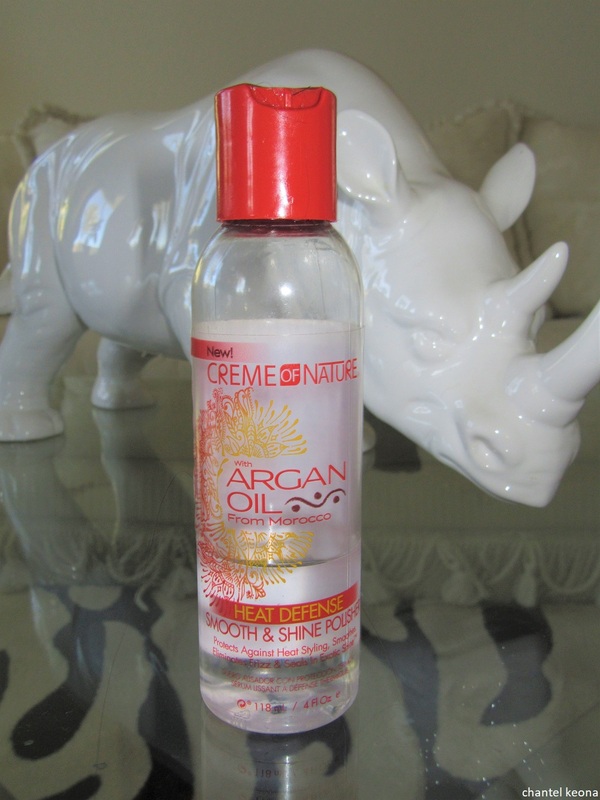 Helps to detangle, soften and boosts exotic shine. Description: Crème Of Nature Coconut Milk detangling & conditioner is infused with Certified natural Coconut Oil to nourish hair while detangling and adding shine. Ideal for all hair types, this treatment can be used after every shampoo as a quick conditioner or every week as a reconstructor. Softens, detangles and provides the ultimate conditioning. Infused with Certified Natural Coconut Oil to soften & improve manageability. Description: Heat defense smooth & shine polisher creates smooth, silky softness, while protecting your hair from harmful styling heat and UV damage, giving you shiny healthy hair. 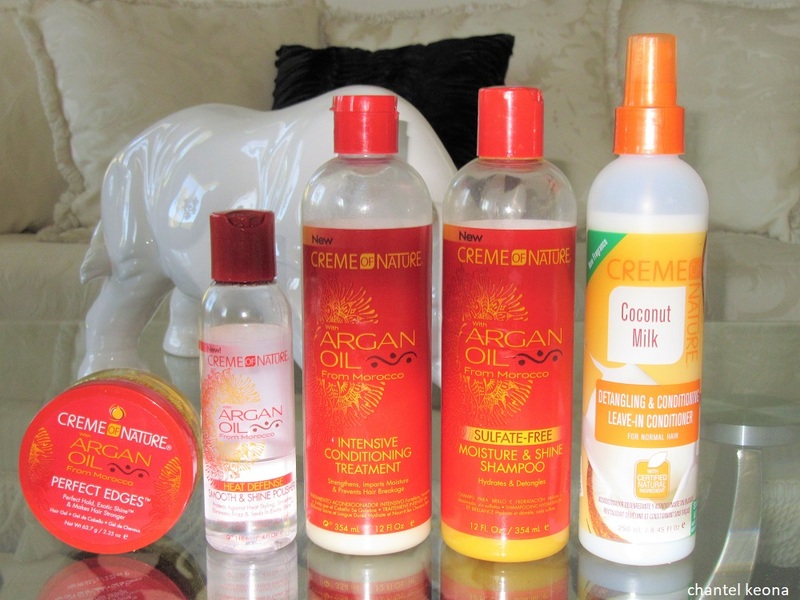 I use all of these products every time I do my hair which is once a month and I love how amazing my hair looks and my scalp always feels clean and refreshed after using the shampoo and conditioner. I use the detangling conditioner when I am combing out my hair before blow drying and it makes managing my hair so much easier. When I am about to flat-iron my hair I use the heat defense polish to protect my hair from heat damage. Last not but not least I use the hair gel to lay my edges and baby hairs. My hair is laid thanks to Crème Of Nature. 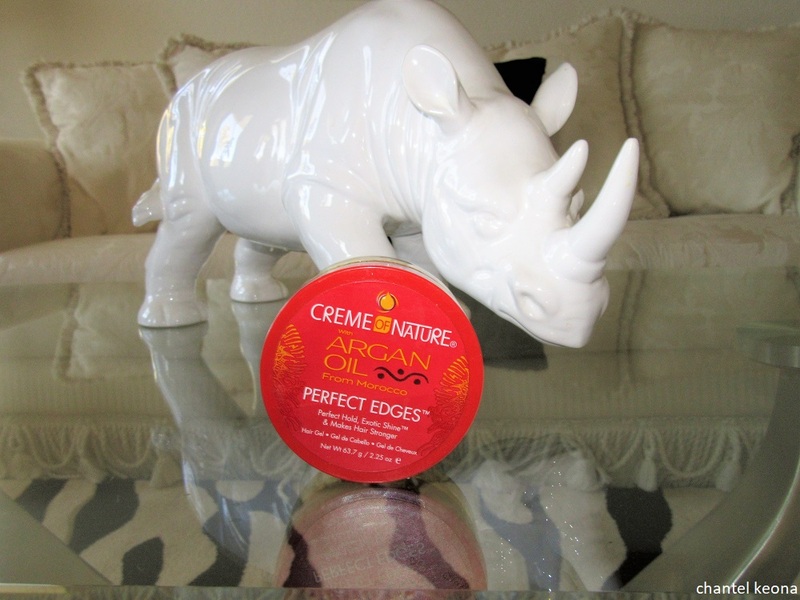 Have you tried any products from Crème Of Nature before? Let me know in the comments. Previous Post6 Fashion Rules You Should Be BreakingNext PostAre These Outdated Makeup Trends Making You Look Older? I just got me some products today as they were recommended by my niece..I’m looking forward to trying them!!!! Absolutely gonna start the products. I’m Natural.